Our Tae Ryu Jitsu Karate program teaches students the art of empty hands fighting. The class is based on the UECHIRYU Karate system and designed for anyone wanting to learn more than just how to defend themselves. The goal of our boxing program is to help teens realize their full potential and to stay clear of negative influences while learning the sport of boxing. Class participants use boxing as a form of exercise and social involvement. The Fitness Boxing program is designed for both adults and students wanting to achieve increased strength and stress relief through recreational boxing. The class offers multiple fitness and wellness benefits to participants of all ages. Our kickboxing class provides a challenging cardio workout in a fun, non-competitive atmosphere. 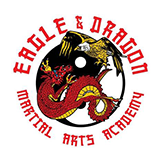 Students will see an increase in stamina, flexibility, strength, and self-defense skills as they master the various combined elements of the class.